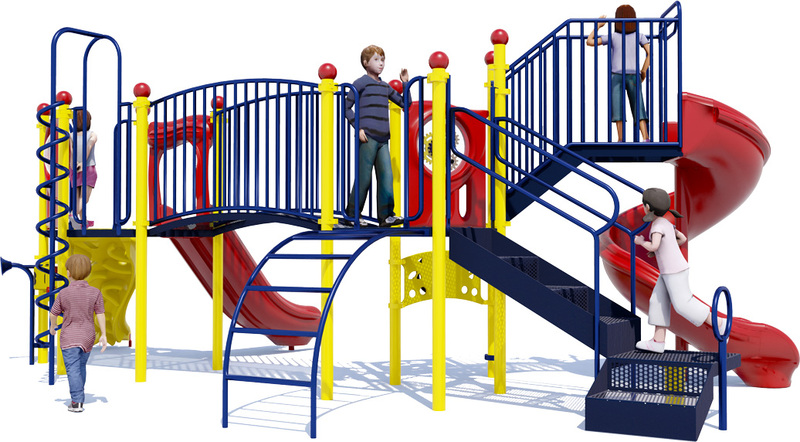 The Crossover Bridge is an ideal commercial playground structure for wide spaces where depth or height are an issue. The long, rectangular structure fits perfectly where space is a little more limited, but offers adventure, learning and exploration for up to 40 children aged 2-12 years. The Hurricane Slide is an open spiral slide that kids go gaga for, and the Single Speedway Slide is a classic favorite. 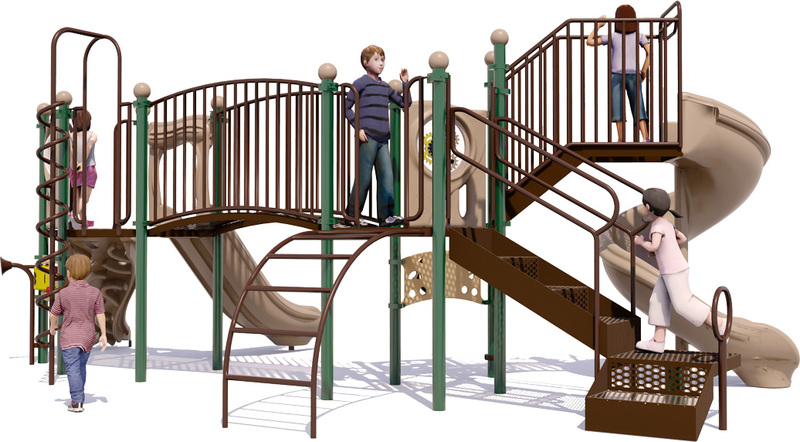 With 3 climbing activities, parents and instructors will love that the kids on this playground will gain plenty of physical fitness activities. 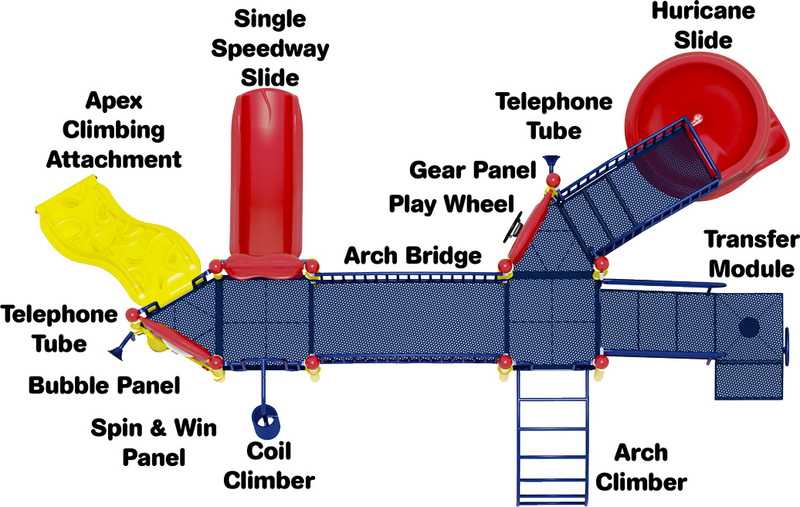 A challenging Coil Climber to scale for access to the top deck and slides. The fast moving Single Speedway Slide. An educational Gear Panel, fun Bubble Panel and Driving Wheel for independent play. The Apex Climbing Attachment which simulates real rock climbing for children. An exhilarating trip to the bottom with the Hurricane Slide. 3.5"O.D. x 12 gauge galvanized & powder-coated aluminum posts. Meets or exceeds ASTM and CSPC standards. Choose from two standard color combinations, or create your own custom color scheme. 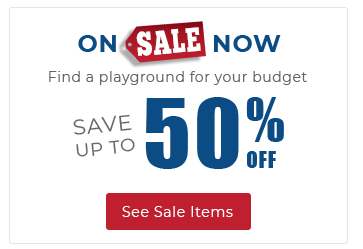 2 Slides, 3 Climbers, 1 Play Wheel, And More!